Indian saree belt / saree jewellery and matching baju band in 22K gold plated and multi coloured. Set with Crystal diamante stones. 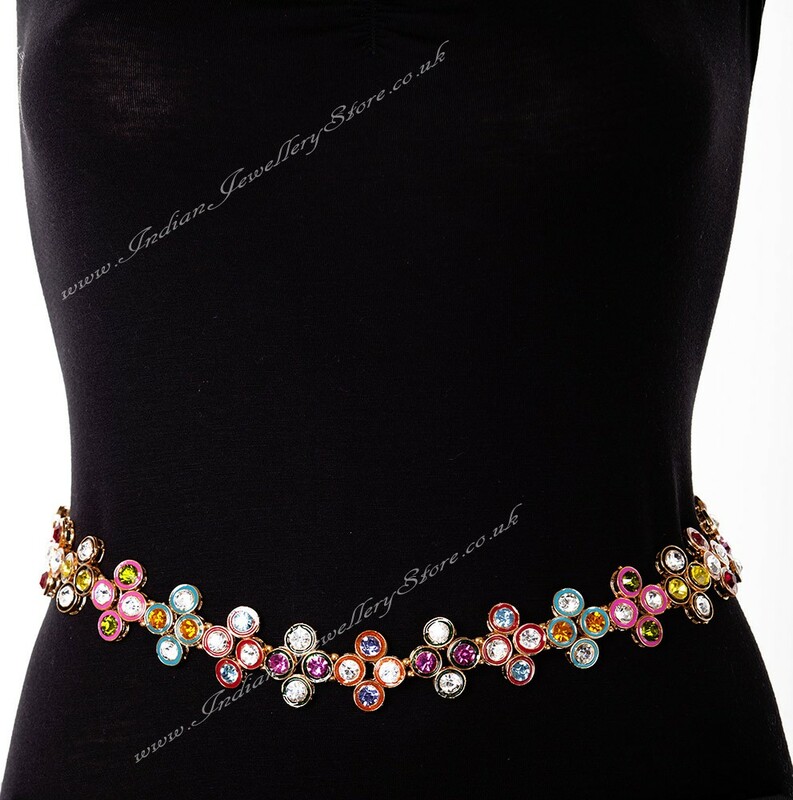 Modern multi coloured saree belt Matching bajuband available to order. Saree belts come in varying standard sizes, we cannot measure individual pieces but are happy to adjust a belt to your desired min/max length. Immediately after purchase, please e-mail your order number and the min/max length you require.